September 22, 2015 – NASA’s Mars Atmosphere and Volatile EvolutioN (MAVEN) spacecraft has been in orbit around Mars for one Earth year. MAVEN was launched to Mars on November 18, 2013 from Cape Canaveral Air Force Station in Florida and successfully entered Mars’ orbit on September 21, 2014. “The success of the mission so far is a direct result of the incredibly hard work of everybody who is working and has worked on MAVEN. This one year at Mars reflects the tremendous efforts over the preceding dozen years,” said Bruce Jakosky, MAVEN’s principal investigator from the University of Colorado’s Laboratory for Atmospheric and Space Physics in Boulder. MAVEN began its primary science mission on November 16, 2014, and is the first spacecraft dedicated to understanding Mars’ upper atmosphere. The goal of the mission is to determine the role that loss of atmospheric gas to space played in changing the Martian climate through time. MAVEN is studying the entire region from the top of the upper atmosphere all the way down to the lower atmosphere so that the connections between these regions can be understood. MAVEN’s principal investigator is based at the University of Colorado’s Laboratory for Atmospheric and Space Physics, Boulder. The university provided two science instruments and leads science operations, as well as education and public outreach, for the mission. NASA’s Goddard Space Flight Center in Greenbelt, Maryland, manages the MAVEN project and provided two science instruments for the mission. 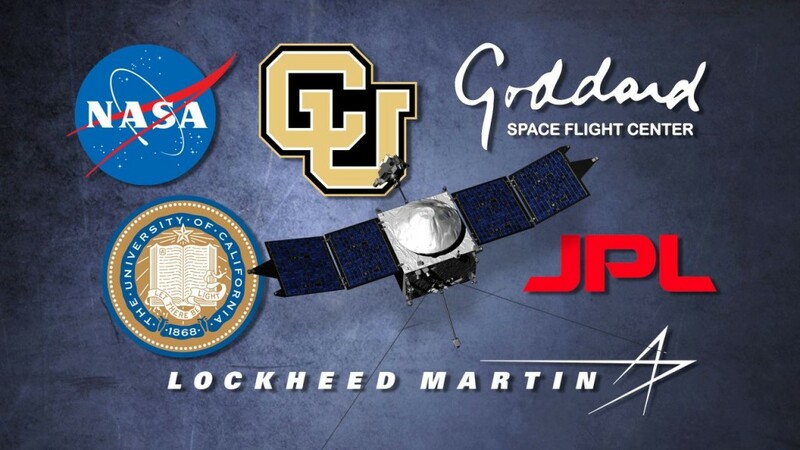 Lockheed Martin of Littleton, Colorado built the spacecraft and is responsible for mission operations. The University of California at Berkeley’s Space Sciences Laboratory also provided four science instruments for the mission. NASA’s Jet Propulsion Laboratory in Pasadena, California, provides navigation and Deep Space Network support, as well as the Electra telecommunications relay hardware and operations. MAVEN launched to space on a United Launch Alliance Atlas V rocket.